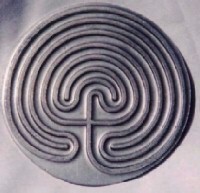 The Classic 7 labyrinth is found in many cultures dating back at least 3,500 years to the Island of Crete. Many examples are found through out the world in petraglyphs, clay tablets, coins and stone constructions up and down the Atlantic coast. Its simplicity and authentic egg-like shape give it a unique, inviting character. 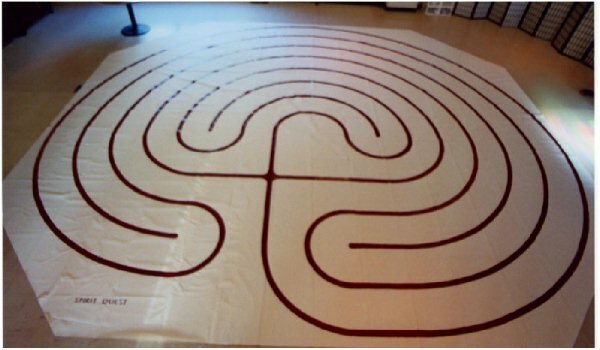 click for your own Classic 7 portable labyrinth in canvas or durable materials! 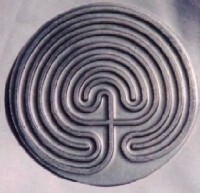 drawn and painted by the 'Labyrinth Guy'!.